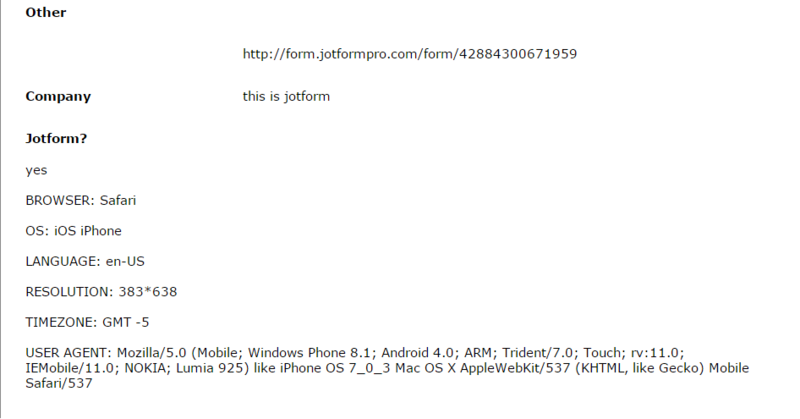 We are testing form with browser info field in one of our widgets. From which we got an incorrect info while testing. We used windows phone (lumia 925) and internet explorer where as it shows as iPhone and browser as safari. Please take a look into the issue.